Facial wrinkles are often the biggest nightmares for both men and women. Stress, lack of sleep and nutrients, exposure to chemicals, excessive use of cosmetics, certain diseases and medications are all factors contributing to the first appearance of skin wrinkles around the forehead, eyes and lips. The antioxidants present in coconut oil protect the skin from harmful effects of free radicals. It also contains antibacterial and antifungal properties that can help the skin to heal and rejuvenate itself. According to the latest research, coconut oil is rich in monolaurin (formed from lauric acid), which can help the body fight certain bacteria and viruses responsible for causing diseases like herpes and influenza. Moreover, with the use of coconut oil you can expect to stay safe from bacteria such as Giardia lamblia. 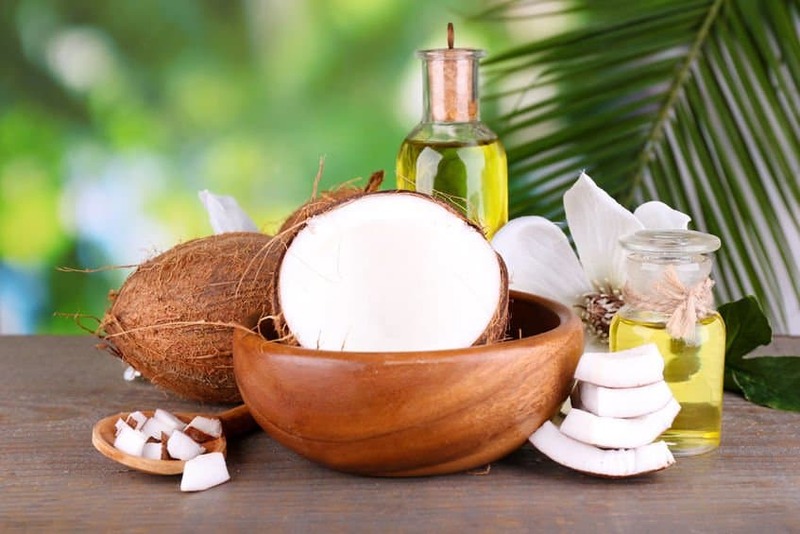 When used as skin massage oil, coconut oil acts as an effective moisturizer. When it comes to face acne, one of the main reason why coconut oil is very effective is due to its anti-inflammatory and antibacterial properties. Coconut oil penetrates deep into the skin, kills germs and bacteria and neutralizes the inflammation/pimples. How Can Coconut Oil Help In Removing Wrinkles? Wrinkles can occur anywhere on the body. It could be wrinkles around the mouth, on the forehead and under the eyes. There are several ways to reduce such wrinkles and using coconut oil is one of the safest and most efficient way to do it. Coconut oil boosts the production of collagen in the skin, which further stimulates the regeneration of tissues in the face. Collagen is a fibrous protein that binds the tissues of the skin. Just massage your face with coconut oil twice a day focusing more on the areas where wrinkles are present. How To Use Coconut Oil For Wrinkles Treatment? Generally, it is quite easy to use coconut oil for the treatment of wrinkles. Unlike other essential oils, there are no complex procedures involved. However, do not forget to buy a product that is organic, natural, unscented and has not passed its expiry date. Here’s how I use coconut oil for getting rid of wrinkles appearing on my face. First, wash your face with cold water, especially the areas that are full of wrinkles. This will not only eliminate the dirt, but also facilitate the absorption of moisture provided by the coconut oil. Second, make sure that you do not carry over any kind of makeup. Remove it before using coconut oil. Third, wash your hands thoroughly before using the oil. Massage very gradually and gently on wrinkles and give your skin enough time to absorb oils. Follow this regimen every night before bedtime. The last thing I want to add is that I often use the antioxidant rich coconut oil specially designed for skincare from Castle Baths. Having a good massage with coconut oil, once a week, is a good way to clear the skin of wrinkles and make it shiny and healthy. Take 3 cups of coconut oil in a heatproof bowl, put it in a pan full of water and heat the oil slowly with hot water. Massage your body with this warm oil, and relax for 20 to 30 minutes for your skin to absorb the oil. You can also have a few minutes of exposure to mild sun followed by a relaxing bath. I follow the above-mentioned procedure at least once a month to prevent my skin from premature wrinkles and regenerate new skin cells. Excessive exposure to UV rays is the most prominent factor that causes wrinkles. Therefore, like me, you can use coconut oil as a ‘natural sunscreen’ to prevent wrinkles. Fats in milk soften and moisturize the skin while lemon helps the skin to get rid of impurities. Blend a few drops of lemon juice with 1 tablespoon of milk until it coagulates. Now, add 1 tablespoon of coconut oil to the blend and mix well. Apply the mixture on the skin and massage for 5 minutes. Repeat this procedure with a second layer of this blend and allow it to stand for 15 minutes. Thereafter, wash your face with water and follow the procedure 3 times a week. I often use the same blend to remove my makeup. You can also consider replacing milk with almond milk or soy milk. To make a skin polish recipe, mix coconut oil, brown sugar and fresh lemon juice. While lemon can cleanse the body and make your skin feel soft and smell fresh, sugar melts easily, thereby reducing the chances of over-scrubbing. Take half a cup of brown sugar in a glass bowl and add 1/4 cup of lemon juice and 1 tablespoon of coconut oil. Mix well and add a little water if the mixture is too dry. Apply the blend on the skin and gently massage the skin folds like ankles and knees where wrinkles are more prone to occur. Let the mixture sit for 10 minutes and rinse with lukewarm water. Follow this procedure once every week. Due to my sensitive skin, I often replace lemon juice with fresh orange juice. Fruits like papaya, apple and pineapple are loaded with nutrients and antioxidants that help fight wrinkles and other signs of aging. In order to make a facial mask, crush one ripe papaya fruit and take half cup of its pulp. Add 1 tablespoon of coconut oil and 1 teaspoon of honey. Apply the mask to your cleansed face and forehead and let it dry for at least 20 minutes. Moisten your face with water and gently massage with your fingers. Finally, wash your face with lukewarm water. Use this mask up to three times a week. Do not hesitate to replace the ripe papaya with other fresh fruits such as banana, pineapple, apple and watermelon. I personally feel that it is more interesting to experiment with two or three fruits in your facial mask compared to using just one fruit. Aloe Vera is a wonderful remedy for flawless skin that is free from wrinkles and acne. Mix coconut oil with aloe vera to enhance its effect and create a wonderful blend to fight against those unsightly pimples. Mix 2 tablespoons of aloe vera gel with fresh coconut oil and 1 teaspoon of vitamin E oil. Apply the gel to the face and neck. Massage well for 5 to 10 minutes. Allow the gel to sit for 15 to 20 minutes and wash it with cold water. Follow this procedure every alternate day. Facial mask made up of white kaolin clay blended with rosewater and coconut oil can work wonders for your skin. This mask not only rejuvenates the skin but also removes excess oil and dead skin cells. Mix 1/2 cup of white kaolin clay with 1 tablespoon of coconut oil and one tablespoon of rosewater. Make sure that you get a thick paste out of this blend. Apply this paste to the skin and leave it in position for at least 20 minutes. Now, moisten the skin with water and massage gently for 5 minutes. Rinse all with clean water. You can also consider using this blend for your hands and feet. This mask will give you radiant skin and prevent fine lines and wrinkles around the mouth. Chickpea flour gently exfoliates the skin, removes excess oil and helps you to get rid of blemishes on your skin. Turmeric is a natural antiseptic that keeps the skin healthy and natural. Mix 2 tablespoons of chickpea flour, 1 teaspoon of coconut oil and 1/2 teaspoon of turmeric in a bowl. Add enough water to make a thick paste and apply it as a mask on the skin. Let it dry for 20 to 30 minutes. Moisten the skin with water and rub the skin gently with the blend. Wash the skin with clean water. Use this blend as a daily facial mask to get rid of wrinkles on the face and around the mouth. The essential fatty acids in avocado and flaxseed provide deep nourishing to the skin and help prevent wrinkles. Take half a ripe avocado, add 1 teaspoon of flaxseed powder and 1 tsp of coconut oil. Apply the mask to the upper lip skin and leave in position for at least 20 minutes. Wash with lukewarm water. Repeat at least three times per week. Egg is a natural skin whitener and anti-wrinkle agent extremely good at eliminating fine lines. It is loaded with potassium, magnesium and proteins that can repair damaged skin tissues. Additionally, it hydrates and moisturizes the skin. Almond flour removes excess sebum and dead skin cells. Take one egg white, add 1 tablespoon of coconut oil and sufficient amount of almond flour to form a thick paste. Apply the mask on the face and under the eyes and leave for 15 minutes to dry. Rub gently (especially around the eyes) to remove the pack, and finally rinse with fresh water. Follow this regimen on every alternate day. Rice flour is a good skin cleanser; use it to remove excess oil and dirt. Orange juice is rich in vitamin C, which helps to clear the skin from acne scars and reduce wrinkles. Mix one tablespoon of rice flour with 1 teaspoon of coconut oil and add enough fresh orange juice to convert it into a thick paste. Apply the blend on the skin and leave for 15 to 20 minutes. Moisten your face with water and massage gently. Finally, wash it off with cold water and pat dry. Follow this routine three times per week. You can use this blend to clear the complexion of your skin and remove acne scars. Fenugreek seeds are loaded with niacin and vitamin B3 that restore the damaged tissue and remove age spots, blemishes and wrinkles around the eyes and the corners of the face. Rosewater makes the skin soft and fresh. Grind 1 tablespoon of fenugreek seeds in a mill to a fine powder. In 1 tablespoon of coconut oil, add 1 tsp of rosewater and enough powder to form a thick paste. Apply the pack on the face, around the eyes and corners of the face. Allow the paste to dry for 20 to 25 minutes. Moisten the skin with water and rub gently and wash the skin with cold water. Follow this procedure 2 to 3 times per week. The mixture of coconut oil, castor oil and lemon juice works as a natural skin moisturizer and anti-wrinkle lotion that moisturizes and nourishes the skin deeply. Mix coconut oil and castor oil in equal amounts. Now, add a few drops of lemon juice and mix until the mixture emulsifies into a white lotion. Continue stirring and mix the lemon juice drop by drop. Pour the cream into a glass container and close with a lid. Apply this lotion on the face and other parts of the body for glowing and wrinkle-free skin. The above lotion can be stored for 3 to 4 days in a refrigerator. Shake to mix the ingredients of the bottle before every use. It’s better to use this lotion whilst indoors. In the presence of sun, the lemon content in the lotion may cause photosensitivity and affect your skin. All these three oils are rich in antioxidants and vitamins making them an incredible blend for wrinkles and fine lines. Mix in a small glass bottle, a tablespoon each of almond oil, coconut oil and olive oil. Massage your skin daily with this blend to see your skin saying good bye to sagging skin and wrinkles. Rich in antioxidants, the sweet aroma and therapeutic properties of the above oils can help recover damaged cells and regenerate the skin. Mix 1/2 cup of coconut oil with 10 drops of apricot kernel oil and 5 drops each of almond oil and sandalwood oil. Massage your face and neck with this blend of oils regularly. 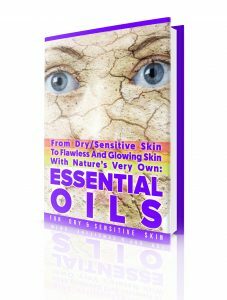 For an amazing skincare day time and night time routine as well as DIY essential oil recipes for cleansing, exfoliation, toning, moisturizing, sun protection and multiple other treatments, you can choose my 2 ebooks depending on whether you have oily/combination or dry/sensitive skin. So, what are you waiting for! 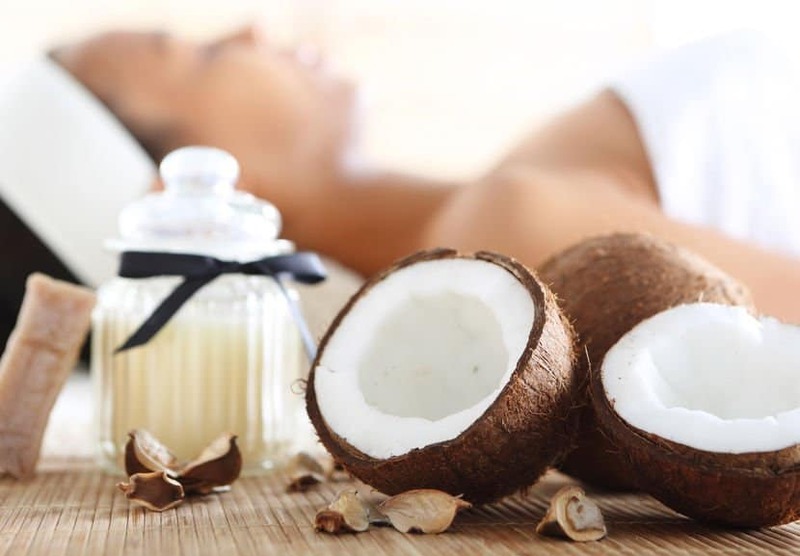 Blends of pure coconut oil can be massaged and left overnight. This allows the oil to penetrate through the skin and act to prevent as well as remove wrinkles. Coconut oil solidifies in cold temperatures and liquefies at warm to hot temperatures without changing its properties. Coconut oil in solidified form melts easily when rubbed between the palms making it easier for you to apply it to the skin. Coconut oil is sometimes not recommended for people with high blood pressure or hypertension (check with your doctor). The above-mentioned home remedies, if regularly followed along with a healthy diet and lifestyle can protect you against premature wrinkles. It is always recommended to go for a skin test patch before using any essential oils. Fun fact: dogs also benefit from coconut oil as well, click here to find out more information. Hi I used that grapefruit oil on my thighs for cellulite. I didn’t see any improvement it made it look worse than before! Any suggestions! You would need to dilute the grapefruit oil in a carrier oil prior to use. 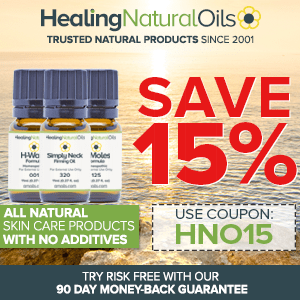 Do not apply essential oils directly on the skin as it may cause adverse reaction. Alternatively, I would use one of the recipes in the article or if you prefer a pre-made blend, H-Cellulite Formula. Excellent articles, friend, it seems I will be a regular reader of your blog). Thank you. Thanks for your query. To start off, it depends if you have dry or oily skin. 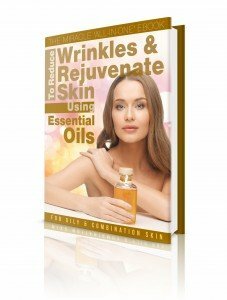 Further, the entire skincare routine including cleansing, exfoliating, anti-aging moisturizing oil for day time and night time is contained in my 2 skincare ebooks, which are available on my website. If you have any further questions, please do not hesitate. Thank you so very much for the info, I was also told coconut oil mixed with shea butter acts as a very good moisturiser and wrinkles remover. I don’t know how true it is! You are welcome and thanks for sharing one too. It is worth trying the coconut oil and shea butter recipe to find out the outcome – I personally think it will achieve great results. Is this also the case for fractioned coconut oil ? Yes it is. 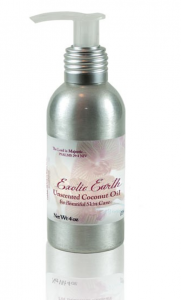 Fractioned Coconut Oil makes a great carrier oil and easily absorbs into the skin.